Windows Phone 7 NoDo update: when will you get it? Microsoft's so-called 'NoDo' Windows Phone 7 update was released this week, but just when will you be able to get copying and pasting on your Win Pho handset? Good news if you've got an unlocked handset and are reading this in the UK or Europe; you should be all set. Try connecting your handset to Zune (with a wire, we're afraid) and the update should be ready and waiting for you. O2 tells us that their Windows Phone 7 customers can expect the update to hit in early April – so O2 customers could be updated as soon as next weekend, if they're lucky. Vodafone sent TechRadar the following statement regarding the update: "The updates for the Vodafone-ranged HTC 7 Trophy and LG Optimus 7 have been approved by Vodafone and will be distributed by Microsoft in due course As soon as we know this is available to our customers, we will post the info on our eForum." Given that it sounds like the update is hot to trot, we'd hope that Microsoft will release it to Vodafone customers fairly soon. 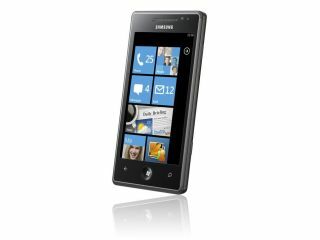 Three tells us that customers started to receive prompts to update their Windows Phone 7 phones as of Tuesday. To make sure everyone is able to download their update, it's being offered to groups one step at a time. As soon as it's available, your phone should prompt you to update. Three has approved the release so all customers should start to receive their updates soon. We have contacted EverythingEverywhere and will update this post as soon as we hear back from them with an ETA on the NoDo update. It's worth noting that the update will not be available as an over the air download – you'll have to connect your handset to a PC or Mac and run the Zune software to get it.